The return of the Fox and the Pirate! I wasn’t sure I’d make this, with revelry for birthday celebrations the night before I might not feel too energetic. On the flipside, I didn’t have the north-south-north run to make – as it happened, I had some errands to run on Sunday that took me nearly half way to Warsop anyway – so well, it would’ve been daft not to have taken advantage of the opportunity to take in a bit of live music to finish up the weekend. With an early finish it’s definitely do-able on a work night. Plenty of folk had the same idea – there was a great gathering of friends either already at the Black Market venue or arriving shortly after me. With tables arranged suitably it was soon time for The Star Botherers to kick things off. The first thing I noticed was that Dave has added a cajón to his arrangement of instruments with a kick pedal that may or may not have also been attached to his tambourine, alongside his more familiar bass drum. Exciting! They kicked off the set with Ringing in Sick, possibly a subliminal move on Dave’s part to encourage people to take part in the quiz straight after the music – haha! I’m pretty sure it’s been a while since I’ve heard One Inch Death Punch aside from when it pops up on a music shuffle in the car. Just Around the Corner followed, Bart muttered something about it being his favourite of theirs – I do like it a lot too to be fair. Another favourite of mine is My National Trust – Bart was getting so into this one he snapped a guitar string during it. Not that it detracted from it, and there were plenty of people on hand to shout ‘I WON’T PAY THAT FOR JAM’ – which is, after all, the most important thing. They finished up with Bad Guys – of course – which was raucous and fun – plenty of rowdy joining in from the crowd. 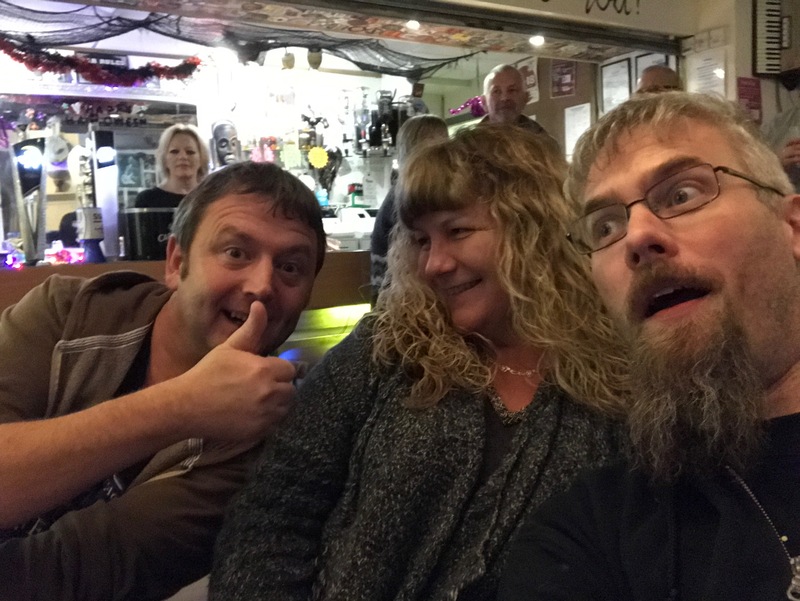 I was sat with Jacquie and Mark, idly pondering it’d be us – and Kev – up on that stage next week. Eep. Next up was Alex Bradford. He’s sort of a solo acoustic performer – but with a few tricks up his sleeve. And only thirteen years old too. I’ve seen him twice before, once supporting Brad Dear at the RAFA club in Newark very briefly, and once at another Stars Bothering on Sunday night where I didn’t see his whole set. We were in prime position to take in his performance this week and by gosh, what a performance it was. Both Mark and I said simultaneously that we were glad he wasn’t on before us the following week. Haha! He kicked off with ‘a song I’ve written’ – I never caught the name, but he immediately launched into using a loop pedal to put the strumming down before overlaying some electric guitar riffs via an effects pedal. It sounded bloody awesome. Tom Petty’s Free Fallin’ was up next, ably identified by Mark, and then as if not to have demonstrated enough skills he whips out a harmonica and bursts into Bob Dylan’s You Ain’t Going Nowhere. 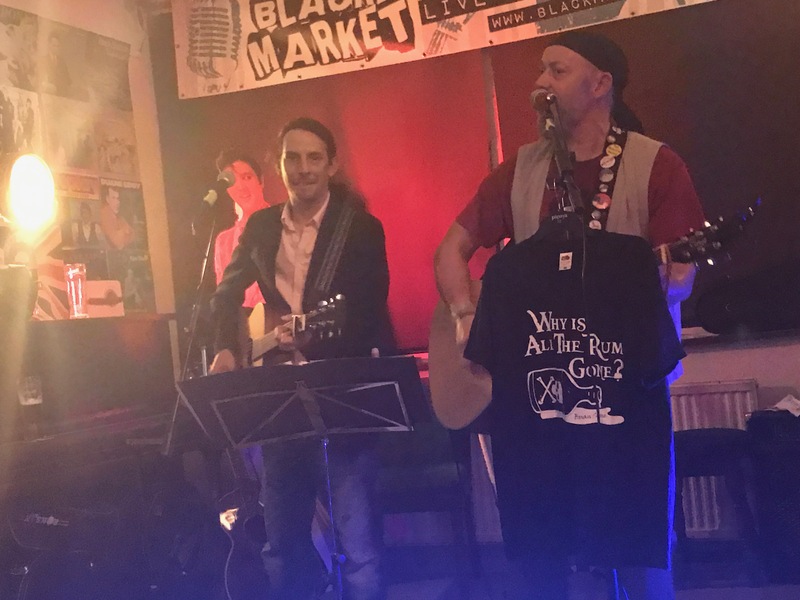 I missed another song name – it was slower, a tambourine/stomp box combination was brought in – it was a shame there was a considerable amount of background chatter but well, it is a pub too I suppose! Jesus and Mary Chain’s Just Like Honey was next – guitar pedalled to sound like an electric – some guitar-bang-loop-pedal percussion as well as the stomp/tambourine – it was pretty mesmerising stuff! He finished up his set proper with Oasis’ Half The World Away, then a rousing rendition of The Clash’s I Fought The Law (including a looped section with an electric guitar solo over the top). An encore was loudly demanded, and appeared unprepared for – but quick as a flash he plumped for Jake Bugg’s Trouble Town and finally Stereophonic’s Dakota (more looping and overlaid guitar picking). 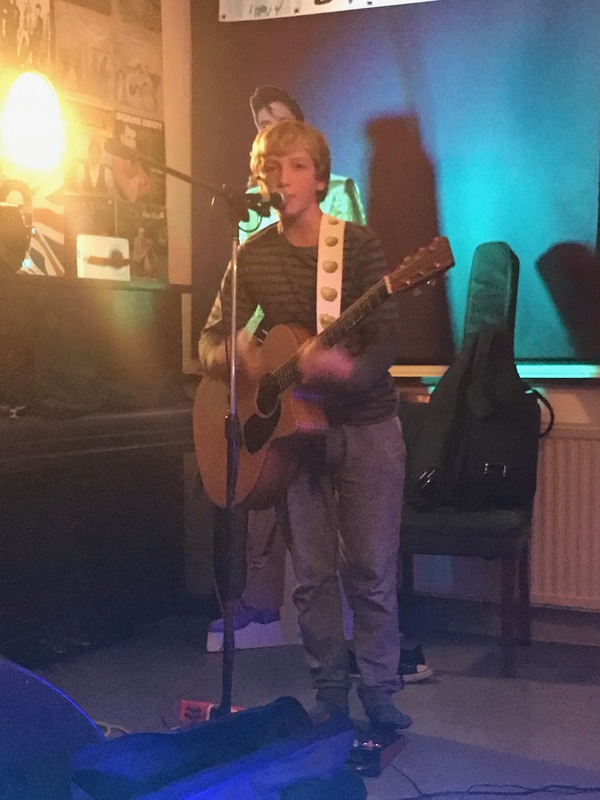 A cracking performance – Alex develops exponentially every time I see him – and all performed in his socks! Jonny Wallis was up first, he and Brian were looking surprisingly fresh considering the revelry I’d seen on Facebook the night before! Prior to the gig he’d kindly suggested I make a note of his set list to avoid my atrocious attempts to get his song titles, as well as this he very clearly enunciated them before each song too! Cheers buddy! Hard Sun kicked things off, then we had some stories about a tea towel folding lady in Banbury, yet the preferable option for Jonny was ending the evening sharing a bed with Addie Burns! Social Divide was next (not Social Grind as I noted last week – haha!) and then Locked Up and at Bay. Newcranes song Back in the Old Country was next before – in a development from last week’s set – a spare guitar tuned down was ready and waiting for Light the Darkness. The emotional Goodnight Lullaby was probably the highlight of the set for me, so much feeling and passion poured into it. He finished up with Crime of Rights (NOT Grab a Rise, haha!) before promptly kicking over his music stand to give a full view of the soon-to-be-famous ‘Jonny Wallis hop’. The anarchy ended there though, he sheepishly returned the music stand for his partner in crime (or rhyme?) Brian Stone, who had been watching the snooker players while Jonny was playing. Ward The Pirate kicked off which seems to be becoming tradition now – there weren’t so many dancers available, but Tina gave it a good go, whilst I went for a half-hearted chair-bound effort. Jack of All Trades was next, fast becoming a bit of a favourite of mine (I think because it resonates quite strongly!). 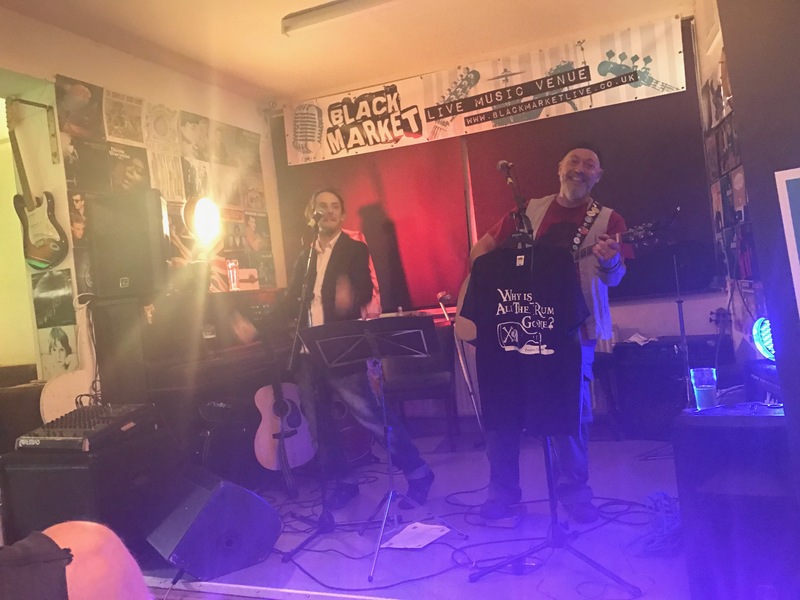 Quiet Anarchist is a lovely number too – then the Italian partisan song Bella Ciao – Mark was cursing Brian’s t-shirt placement (he’d hung one on his mic stand) which was preventing him from attempting to pinch Brian’s chords, haha! At some point Brian announced he was going to skip a track (intriguingly his setlist says Sold Short on it – but I don’t remember ever hearing one called that from him! It was Brian’s turn for an emotional piece with Did She Know – such a beautiful tribute to his mother (you can watch this song on his YouTube channel here, and read the story that inspires it in the description, I’d highly recommend that you do just that!). He finished up with the ludicrously catchy (and accurate!) 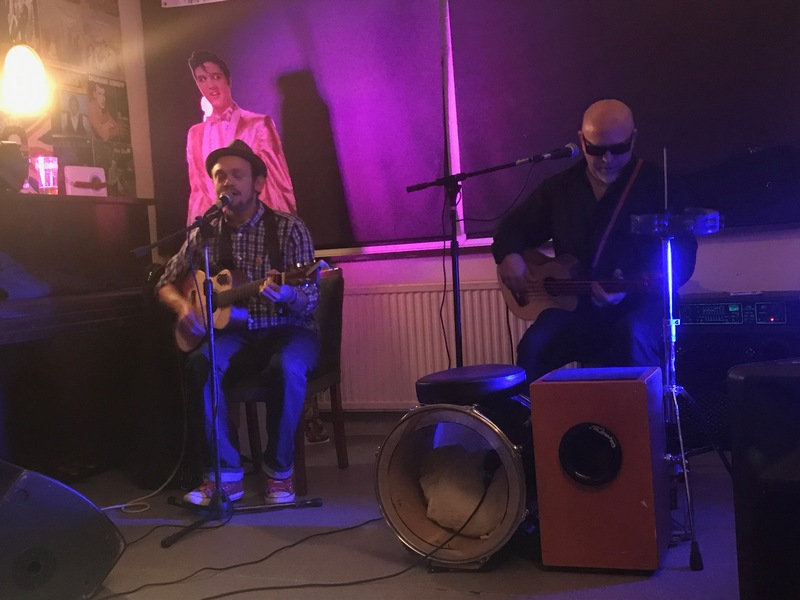 Never Drink With The Leylines – a few improvised lyrics thrown into the mix too to single out some of the folk in the crowd, always a good thing! I like to think of it as a sequel to Why is all the Rum Gone? The evening of music ended with Jonny returning to the stage along with Brian for the full Fox and the Pirate ensemble (which still needs its own Facebook page!). They started with The Boatman with Jonny on vocals, then Brian’s Barrow Downs with Jonny providing backing vocals. Oh You New York Girls (Can’t You Dance the Polka?) was next – brilliantly catchy as ever, whilst Jonny took lead vocals the two of them sound great blending their voices and guitars as the song progresses. Elation brought a hush to what had been a quite rowdy room all evening – it is a spellbinding song full stop, let’s face it. Of course, it wouldn’t be a Jonny Wallis stage appearance without Julie, another beautifully delivered Levellers song. They finished up the set proper with Why Is All The Rum Gone? dedicated to Brad Dear – who was celebrating his 22nd birthday and was probably responsible for a fair portion of the Black Market’s rum quota being gone that evening! There were loud cries for an encore – but there’s an uneasy tension between the Stars Bothering on Sunday event and the quiz that follows. Brad had a few choice opinions about what should happen to the quiz (! 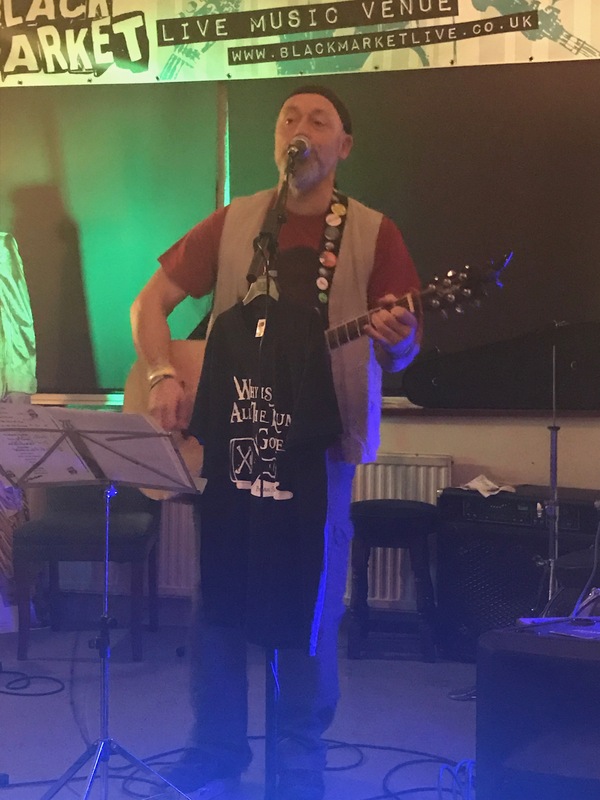 ), but it was agreed quickly that there was time for another couple of songs – they went for The Leylines’ Let It Go and finished up with a rowdy rendition of Levellers’ Riverflow to bring another splendid set to a close. I’m really glad I dragged myself out – a top night, and three (or five, depending on how you look at it) superb live acts for the price of – well, for me, a few lime and sodas. And I was home by a little after ten, so even me – 43 odd miles away – can make that work on a Sunday night if I’m not travelling elsewhere. 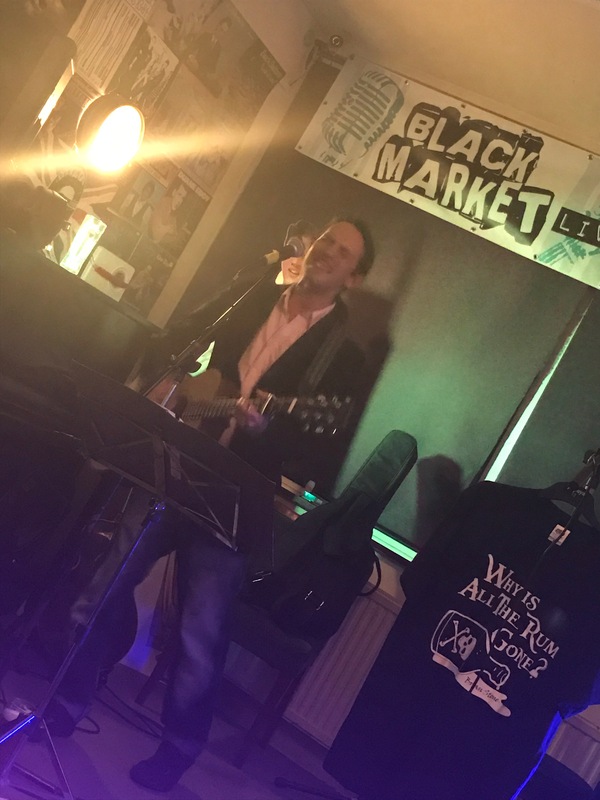 Next week we’ll be performing there, indeed, it’s a Warsop flavoured week as we’re playing Brad’s open mic night at The Plough on Thursday night too. So I’ll be looking for some substitute bloggers to cover those!